The United States is at war, and sixteen-year-old Ned Begay wantes to join the cause—especially when he hears that Navajos are being specifically recruited by the Marine Corps. So he claims he's old enough to enlist, breezes his way through boot camp, and suddenly finds himself involved in a top-secret task, one that's exclusively performed by Navajos. He has become a code talker. 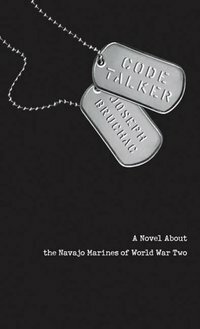 Now Ned must brave some of the heaviest fighting of the war, and with his native Navajo language as code, send crucilal messages back and forth to aid in the conflict against Japan. His experiences in the Pacific—from Guadalcanal to Iwo Jima and beyond—will leave him forever changed.